Dr. Steven M. Spiegel is board certified in nephrology by the American Board of Internal Medicine. He specializes in the treatment of kidney diseases of all causes including diabetes mellitus, hypertension, glomerulonephritis, and genetic diseases such as autosomal dominant polycystic kidney disease. His main emphasis is halting and, when possible, reversing kidney disease. In progressive renal diseases, the goal is to prolong and hopefully avoid the need for renal replacement therapy (dialysis). Patients are proactively referred to transplant centers if the kidney disease is progressive. For patients requiring dialysis, Dr. Spiegel is a strong advocate of home therapies including home hemodialysis and peritoneal dialysis. He also specializes and has an interest in difficult-to-treat hypertension, kidney stone prevention, and electrolyte disorders. Dr. Spiegel works seamlessly with primary care physicians and specialists of every affiliation and network. When imaging, labs, and other tests are required, he gladly organizes such testing at the preferred location of the patient and his or her referring physician. Dr. Spiegel accepts virtually all insurance plans and will see patients both routinely and urgently at the request of a referring physician. 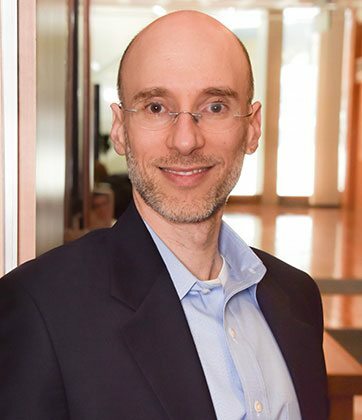 After earning his medical degree from Stony Brook University School of Medicine, Dr. Spiegel completed his internal medicine residency and nephrology fellowship at New York Presbyterian Hospital-Cornell Medical Center and Memorial Sloan Kettering Cancer Center in New York City. He has been in practice since 2003. In addition to receiving a Health Care Innovation Award from the Centers for Medicare and Medicaid Services (CMS) in 2012, Dr. Spiegel has been included in Boston magazine’s Top Doctor’s List for 2017 and 2018.